“The Christmas Song” or “Chestnuts Roasting on an Open Fire” by Bob Wells and Mel Tormé is an iconic song in American culture, but most Americans will never experience a chestnut roast (at least not with American chestnuts). The American chestnut was a widespread North American native tree that covered nearly 200,000 miles of Appalachian forest. In 1904, the American chestnut trees in the Bronx Zoo were dying from a then unknown disease, Chestnut Blight. In the next forty years, Chestnut Blight spread across the estimated 4 billion American chestnut trees. Now American Chestnut trees are seen only as giant stumps, juveniles never reaching maturity, and rarely, adult fruit-bearing trees. Since the decline of the American chestnut, Appalachian forests have changed. Chestnuts have been replaced by oaks, and it is likely that many organisms that relied on the chestnut trees for food or shelter have had to adapt to new conditions or have been displaced. The loss of the chestnut also led to the loss of financial income for many Appalachian people. In addition to chestnuts as a food source, the American chestnut provided decay resistant timber and tannins for tanning hide. The American chestnut and its decline is remembered through oral and written history. Members of older generations from Appalachia tell stories of enormous trees and later forests of white wooden chestnut skeletons. Josh skiing in the mountains of Big Sky, Montana. The restoration of the chestnut is an active project that faces many challenges. First, few Americans have seen an American chestnut tree, and few are familiar with their decline via Chestnut Blight. Since the restoration of the American chestnut would require policy changes and action across 200,000 miles, spanning multiple state governments, it is necessary to assess the extent the public might disfavor or favor this restoration. Our guest this week,Josh Petit from Forest Ecosystems and Society, is seeking to understand the attitudes of Americans toward the chestnut restoration. In particular, Josh is surveying a sample of the US population to compare attitudes toward a controversial method of chestnut restoration, the use of genetic engineering. 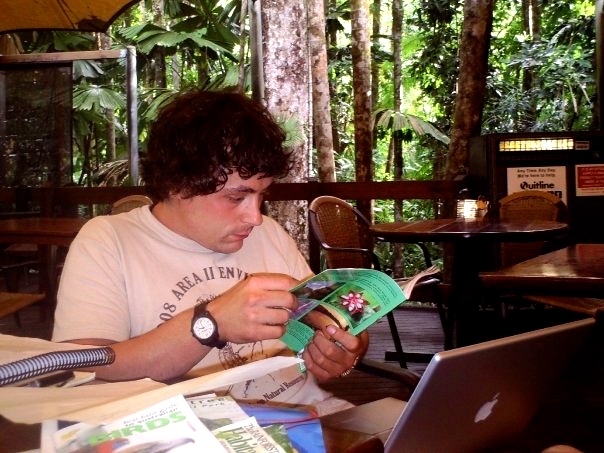 Josh conducting research during a study abroad program in tropical North Queensland, Australia. It is important to assess the attitudes of the public to transgenics because the introduction of genes from wheat has been the most successful method at enhancing resistance toward chestnut blight. Recently, negative media has led to the misunderstanding that genetically modified organisms (GMOs) have adverse effects on consumers (humans) and ecosystems. However, these claims are not based in sound science and have been refuted. Although GMOs are being supported as alternatives to crop and forest species extinction, ultimately chestnut restoration relies on majority vote in favor or against a specific strategy. Thus, assessing attitudes toward restoration methods is tantamount to restoration efforts. A native of Ohio, Josh Petit attended Xavier University and majored in Political Science. 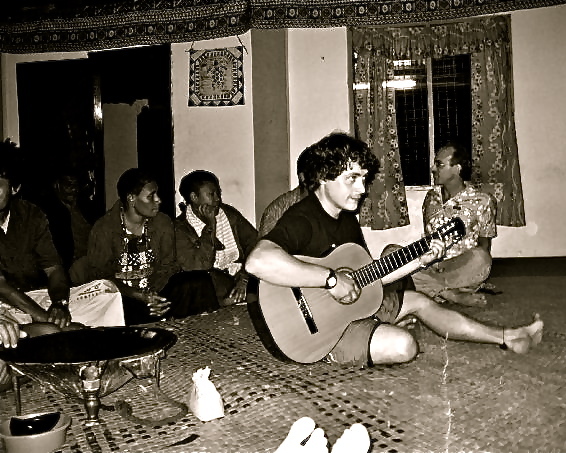 He credits a Semester at Sea for broadening his world view and exposing him to different cultures. He learned that culture is important in all aspects of daily life. In retrospect, perhaps it is no surprise that he is currently studying an iconic tree and how culture has driven attitudes toward its restoration. 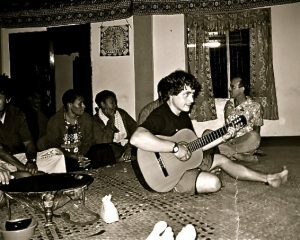 Josh participating in a Fijian traditional village celebration and homestay–taking turns playing guitar. 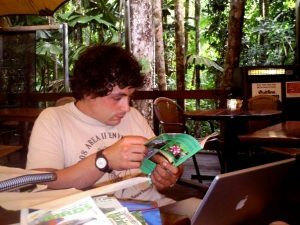 Josh became interested in ecology, biology, and the interface of the two with humans while working for Q4 International Marketing an ecotourism company in Panama. This lead him to pursue a Master’s in Natural Resources with a marine ecology focus from Virginia Tech. However, his most recent work withOregon Parks and Recreation Department lead him to pursue a PhD at Oregon State University. 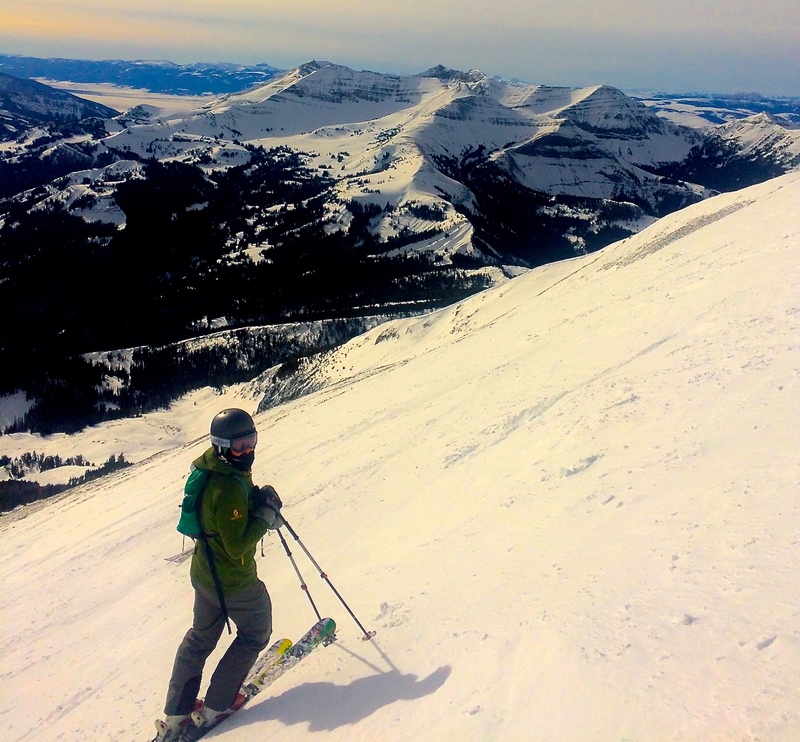 With the State Parks, Josh conducted surveys in Oregon Parks and sought to connect behavior, impacts, and social science to ecology and recreation. Now at Oregon State University, Josh is working with Mark Needham andGlenn Howe to understand the drivers of attitudes toward using biotechnologies for restoring American chestnut trees. Hear more about Josh’s research and his journey to now this week on Inspiration Dissemination. Tune in to KBVR Corvallis 88.7FM on Sunday July, 30 at 7 pm, or live stream the show. This entry was posted in College of Forestry, Forest Ecology, Forest Ecosystems and Society, Forestry and tagged american chestnut, attitudes, chestnut blight, cisgenics, Forestry, GMOs, plant pathology, restoration, semester at sea, study abroad, transgenics on 2017-07-27 by Kristen Finch.